(Blacksburg/Stuttgart/Portland) Daimler Trucks, a division in the Daimler Group, the inventor of the truck and world’s largest manufacturer of heavy and medium trucks, and Torc Robotics, a pioneer in autonomous driving solutions, are joining forces in a one-of-a-kind combination to commercialize highly automated trucks (SAE Level 4) on U.S. roads. 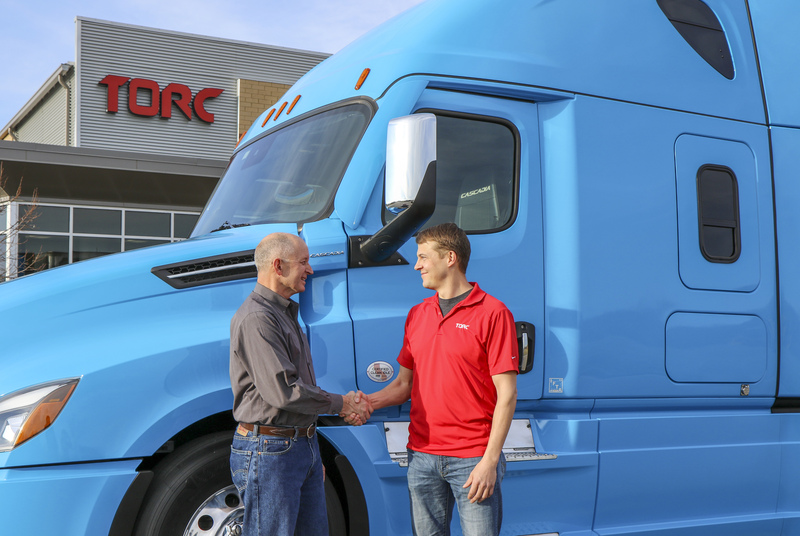 Going beyond an OEM/supplier relationship, the companies signed an agreement today for Daimler AG’s subsidiary Daimler Trucks and Buses Holding Inc., to acquire a majority stake in Torc Robotics for an undisclosed sum. Closing of the acquisition is subject to approval from U.S. authorities. Torc believes that successful commercialization of self-driving technology is best accomplished through close partnerships. Announced partnerships include Caterpillar, with mining and agriculture applications, and AAA Northern California Nevada & Utah for developing safety criteria through testing on public streets and closed courses. In January, Torc and Transdev announced a partnership integrating Level 4 self-driving technology in an i-Cristal shuttle that is currently undergoing route testing in France and scheduled for commercial operation this year.